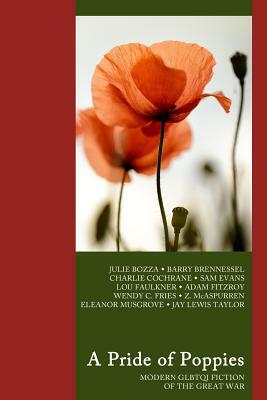 Ten authors - in thirteen stories - explore the experiences of GLBTQI people during World War I. In what ways were their lives the same as or different from those of other people? A London pub, an English village, a shell-hole on the Front, the outskirts of Thai Nguyen city, a ship in heavy weather off Zeebrugge, a civilian internment camp ... Loves and griefs that must remain unspoken, unexpected freedoms, the tensions between individuality and duty, and every now and then the relief of recognition. You'll find both heartaches and joys in this astonishing range of thought-provoking stories.